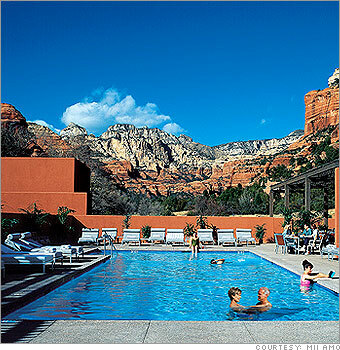 If your bride is on the nervous side, take her to the serene Enchantment Resort in Sedona, AZ. It recently underwent an $11 million upgrade of the rooms including new furniture, linens and decor. For large groups, a full Hacienda with six Queen beds, full kitchen, living room, fireplace, and 3 outdoor patios, is ideal. 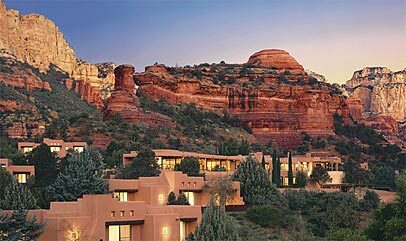 To further calm her nerves, take your bride to the Mii amo destination spa and sign her up for the Anasazi Ubtan, a combo of a wrap and massage that is a traditional beautification ritual for brides in India. For more info, log onto EnchantmenResort.com.